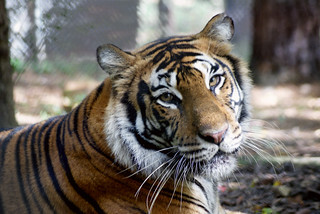 At Carolina Tiger Rescue, the resident animals get daily enrichment. Keeper Larissa takes us behind the scenes as she prepares and distributes enrichment for tigers Caprichio, Carolina, and India. Larissa also discusses why we offer enrichment. Bonus: See one of our tigers enjoying their box!